The ZT450PXI-50 is a high speed, low power modular digital storage oscilloscopes (DSO) for Compact PCI/PXI. Built on state of the art data conversion technology with deep waveform memory, the ZT450PXI-50 delivers the best DSO performance in a modular instrumentation form factor. Setting the ZT450PXI-50 apart are its extensive bench top DSO capabilities, such as flexible signal conditioning, advanced triggering, average and envelope acquisition modes, and onboard signal processing. 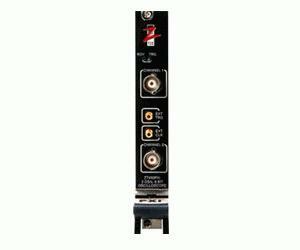 The ZT450PXI-50 is the only modular DSO product with “bench top instrument in a module” features for CompactPCI/PXI.